200,000 sq. meters just for families! Where the Adriatic Sea meets the Venetian Lagoon in Cavallino stands Sant’Angelo Village: a four-star tourism resort with 20 hectare surface area. 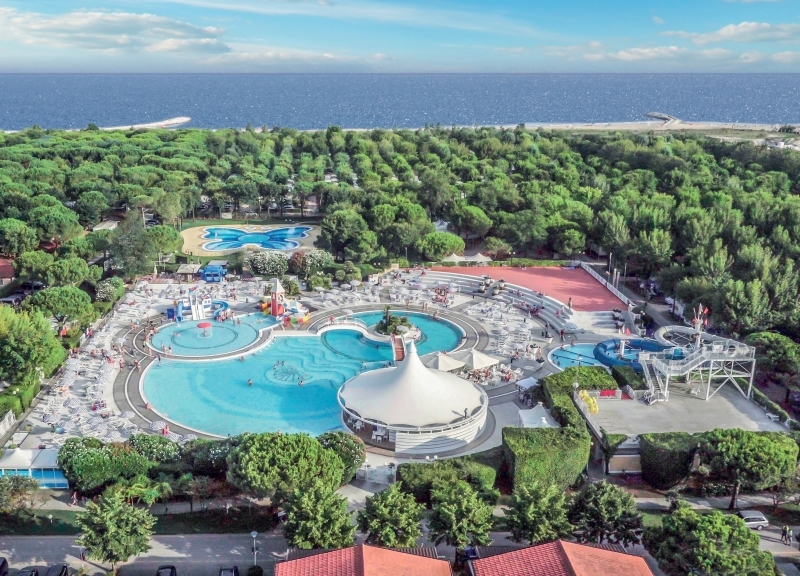 The private beach, the excellence of the services offered, the refined accommodation, the magnificent swimming pool, the beauty of the surrounding nature make Sant’Angelo Village a prestigious destination especially for family vacations. You can choose your accommodation among apartments, bungalows, maxi caravans, chalets, and equipped camping pitches. It’s easy to reach Sant’Angelo Village because it's just a few kilometers from the motorway exit and from important cities like Venice, Treviso, San Donà, and Jesolo. Your stay at Sant’Angelo Village will offer you truly special moments, thanks also to the chance to visit the stupendous surroundings like Venice, a unique city with its canals and magnificent historical buildings or cities with great historical-cultural interest like Padova, Verona, Vicenza and Treviso.